About: A multidisciplinary clinic that offers acupuncture, chiropractic and massage therapy services. Majority of the cases are musculoskeletal injuries and pain management. We work as a team to address a problem from multiple angles. Most of our clientele are corporate professionals who don't have time to waste and need results right now. The philosophy of our practice is to provide a quick resolution for patients' health concerns. We are conveniently located at the heart of New York City, two blocks away from the Central Park, next to a subway station. About: Jules Sonntag holds a Master of Acupuncture, is nationally certified by the NCCAOM, and was trained in Chinese Medicine at the nationally esteemed Pacific College of Oriental Medicine-NY. Street Address: 135 West 29th St.
About: Meghan is a licensed acupuncturist with national board certifications in acupuncture and Chinese herbal medicine. She received her master’s degree from Pacific College of Oriental Medicine, where she is currently obtaining a doctorate. Her clinical experience includes work at Columbia University Health Services, Mount Sinai-Beth Israel Integrative Oncology, and Housing Works. She travelled to China for advanced study at the International Acupuncture Training Center, an institute recognized by the World Health Organization, with clinical rounds at the Traditional Chinese Medicine Hospital in Beijing. 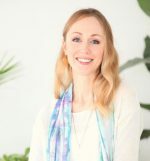 Meghan continues to deepen her skills and knowledge in Eastern medicine, mind-body connection, and energy healing. Her areas of interest include women’s health and gynecological conditions, digestive disorders, stress and anxiety, and pain relief. She supports her patients wherever they are on their healing journey with compassionate listening and commitment to care. Following the Chinese principle of shenming, “radiance of spirit,” her mission is to inspire others to practice self-care and overcome dis-ease by harmonizing body, mind, and spirit. About: Welcome to Silver Acupuncture, where patients benefit from the highest quality of individualized care. Professionals experienced in treating a wide range of conditions provide acupuncture and Chinese herbal therapies in a relaxed and peaceful setting. Contact us to learn how this extraordinary medicine can optimize your quality of life. About: Since 1996 I have worked with an Osteopathic Physician in a Family Practice helping patients overcome chronic conditions stemming from imbalances in the Immune, endocrine, circulatory and musculoskeletal systems. I am a Five Element Classical Acupuncture Practitioner and my approach is to reconnect the body with the mind and spirit to effect a healing response intrinsic in each person. 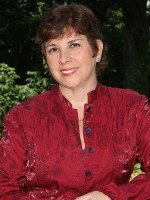 About: I am a NY State Licensed Acupuncturist and a Certified Chinese herbalist. I received my Masters degree from The New York College of Health Professions in 2003 where my studies included Acupuncture, Chinese herbal medicine, T'ai Chi Chuan and Qi gong. Upon graduation I went on to work at Columbia University facilitating two NIH funded clinical research studies testing the efficacy of Acupuncture and Moxibustion. I recently returned to Columbia University to serve the acupuncture research community in Acupuncture for women undergoing breast cancer treatments. My philosophical approach to treatment includes a strong emphasis on patient education. I encourage patients to actively participate in their healing process and often incorporate lifestyle changes and herbal medicine in my treatment plans. I maintain a strong commitment to the promotion of the integration of Eastern and Western medicine as a future medical model within our health care system. My specialized areas of interest and expertise include women's health and fertility, stress and pain management, and digestive disorders. About: Joyce Leung Lilly specializes in men and women’s health, mental health and addictions. 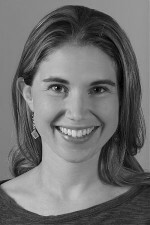 She treats a wide range of concerns – from back pain to emotional concerns, such as anxiety and depression. Joyce is a licensed acupuncturist in the state of New York and is board-certified by the National Certification Commission for Acupuncture and Oriental Medicine (NCCAOM). She received her Master of Science degree in Acupuncture at the Pacific College of Oriental Medicine in New York. About: Catherine is a graduate of Pacific College of Oriental Medicine IN New York. Catherine is board certified by the National Certification Commission for Acupuncture and Oriental Medicine (NCCAOM) in Acupuncture; this certification is marked by the title of Diplomat of Acupuncture (Dipl.AC). 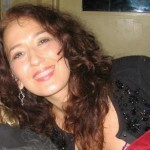 Catherine incorporates Chinese, Japanese and Korean (Sujok),into her treatments. She frequently treats Autoimmune, Orthopedic, Migraines, Digestive, Emotional,and Women's Health Issues. She also offers Facial Rejuvenation to those who want a more natural approach to looking relaxed and refreshed.